A lot of people ask me what my own training program looks like so I thought I would lay it out for you. To be honest, I’ve been keeping things pretty basic the last couple months. No overthinking, no worrying about this and that, just the nuts and bolts and some heavy weights. My philosophy has simply been KISS: Keep It Simple Stupid because I have a tendency to overthink things at times when it comes to training. I have been training four days a week, with two upper body sessions and 2 lower body sessions. 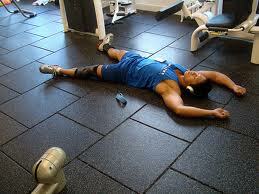 Along with that, I have been doing two days a week of circuit/interval/conditioning a week on non-lifting days. I try to keep these fun and intense and they change every single time I perform them – I’ll give an example of a circuit that I have done recently. All in all its been six days a week of some type of training and one day that I take completely off. 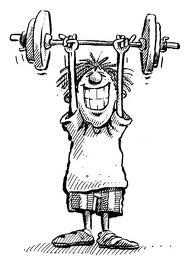 When it comes to reps and sets, for most exercises I have been simply doing 3-4 sets of 6-8 reps, using heavy weights. Some weeks I feel great and work up to four sets and sometimes I am a little run down and stick with 3 sets. 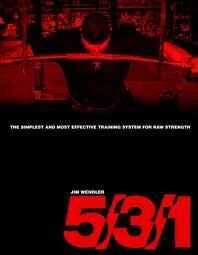 On some exercises (front squat, bench, trap bar deadlift) I have been using Jim Wednler’s 531. If you have no idea what 531 is, I would recommend getting on that! This circuit will usually take me no more than 30 minutes to complete and it beats the crap out of me – I am completely gassed by the time it is over. As you can see I am keeping things pretty simple. 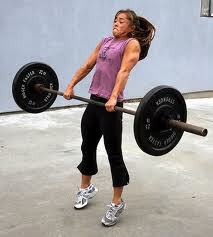 I push, I pull, I do some bilateral lower body work and I do some single leg lower body work. 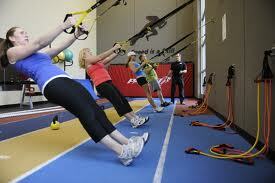 Core is as simple as it gets with an anti-rotation exercise and an anti-flexion exercise. The only thing that isn’t listed is any type of cardio – that’s because I don’t do all that much. Most weeks I try to jump on the bike for 20-30 minutes, nothing strenuous, for a little bit of recovery and low intensity cardio work – this is not because I am trying to blast some fat, that’s what the circuits are for.